Going through the book and exploring various aspects of the same will make you admire the efforts the author and his team spent for the research work and presentation. Impressed by the same, we thought that it would be interesting to know more about Arun and you will find it interesting too. So we’ve approached Arun for an Author Interview and fortunately, the things worked out positively. And, here is the Q/A session with him. I feel life is about attaining much more than professional accomplishments. Following your passions and doing something in the field of your choice is a definite step to bringing you closer towards self-actualization. Before setting out on the entrepreneurial journey, I had the privilege of working with some of the largest financial organizations in the world. I completed my graduation in Economics before joining IIM Calcutta. Thereafter, I worked with Citibank and Deutsche Bank and was instrumental in setting up large businesses and contributing towards their growth. 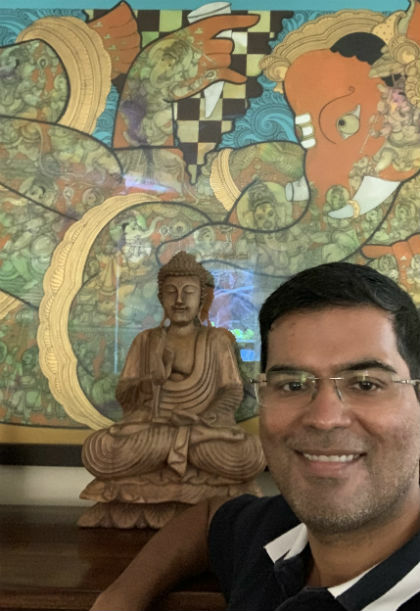 However, with the 2008 credit meltdown and the severe impact that it had on the population at large, I felt that it was time to do something about solving the rampant financial illiteracy problem in India. I, therefore, decided to start a credit analytics company. That is how Credit Sudhaar came into existence and over last few years we have been able to help innumerable individuals in understanding, improving and maintaining their credit profiles. I turned into a numismatist at an early age. My keen interest in history topped up with my grandmother’s modest collection of historical coins was the trigger behind Suvarna Mohur. By reading “Suvarna Mohur” one can see the sincere efforts you’ve put in research work. We really appreciate it. Can you please share more details about the research work? The research is not restricted to a certain time frame. There has been an ongoing effort to understand various historical aspects through the coinage. The research, I would say started during my school days and will continue even in future. The book is culmination of my learnings so far. Writing a book is not an easy task. Of course, one cannot see the efforts required for writing, getting the things integrated properly, getting it published, do marketing for the same, and reaching the target readers. One can understand it only when doing it :). Can you share, what made you to write a coffee table which explores the history through coins? As mentioned earlier, my keen interest in history and my passion to study coins, being a collector myself, is what made me attempt a numismatic walk through 2500 of Indian History. A coffee table book seemed to be the apt way to present this concept to the public at large since it gave me the freedom of expression through interesting artwork, pictures and exhibits. This is an interesting question. From what I have observed, a large number of writers are impulsive to begin with and once they draft a framework and start to put the pieces in place, they become more methodical. Rewriting and revisiting the content a couple of times, I believe, has helped me immensely. The book cover plays an important role in bookselling, were you involved in the book cover designing process? How much? If you can elaborate in detail, it would be great. The popular saying that “the book is known by its cover” is so true! The cover plays a vital role to motivate the reader to pick up the book and have a look. Therefore, the visual impact has to be in line with what the readers can expect out of the book. Since a cover is highly important, the same usually undergoes 4 to 5 revisions before getting finalized. If I say that the cover of the book is my own perception on what I would have liked to see on such a book, I will not be wrong. I have been completely involved from the conception to finalization of the cover. Not only the cover, all presentations inside the book have been my ideas. While this is not my first book, but yes, a first for a coffee table version. The journey of this book has been an exciting one. Since I had this book on my mind for a few years, the thoughts gathered over time in respect to the matter, presentation and display helped in speedy writing and publishing of the book. The process, I must admit, has been very fulfilling. It is similar to seeing the seed growing into a tree laden with fruit that would spread taste and nutrition. Every book affects its author in some way. How do you think writing books affected you? If you can be specific about it bookwise, it would be even better :). I agree with the statement that the books affect its authors in many ways. This impact goes beyond the creative aspects and has the potential to impact the personal and professional sphere as well. Writing Suvarna Mohur has helped me gaining a deeper understanding of our rich culture and history. This has only enhanced my pride about our country’s rich and diverse legacy. I can say that today my understanding of our glorious culture and ethos is much better that it was in the past. I like reading a wide variety of books but my favourites are William Dalrymple and Shashi Tharoor. What is/are your favourite book(s)? My favourite book(s) is actually a series – I love reading Tinting. It’s amazing how even almost a 100 years after they were written, these books remain as relevant and engaging as if they were written just yesterday! Currently, I am reading a book called The White Mughals by William Dalrymple. What are your hobbies apart from reading/writing? Apart from reading and writing, I am highly involved in fitness. I try to follow a regimen of diet and exercise which helps me to keep physically and mentally fit. Other than this I love to travel since it helps in changing perspectives and becoming more adaptable. EBooks are a great source of ease on availability of books at any given point of time. I have experienced people catching up on reading to break the work monotony without having anyone to know. Even a ten minute reading break can be quite refreshing. Other than this, the convenience of reading, making notes, referring to dictionary etc. are some of the great advantages that the EBook readers provide to the users. Goes without saying that this version of books is more environmental friendly than the traditional paper books. Till sometime back I was only a paper edition fan, but the convenience of carrying books on my device everywhere has also got me to experiment with EBooks. Today I read both versions. The ease of carrying multiple EBooks on a device also helps me in catching up with the kind of book that I may be inclined to read at a particular point of time. Indeed, I grew up listening to my grandmother telling me stories from the Panchatantra and Jataka Tales. I think these stories helped me to think beyond the ‘classroom’ and view any issue, not just from my perspective, but also from other people’s points of view. Universally, kids do want to hear stories. The type of stories that were orally passed on from one generation to the other seem, somehow, to have got lost. Nuclear families, social media, television and an obsession with gadgets have meant that kids hardly read stories. In my opinion, childhood stories not only arouse curiosity in children but also help them to better understand their moral and ethical responsibilities. Can we see Arun writing a book in a different genre in near future? 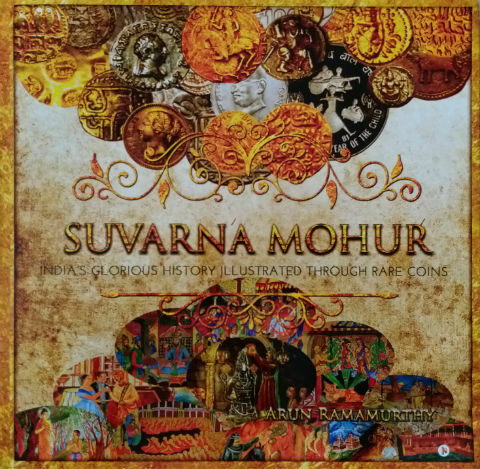 Suvarna Mohur is my second book and is the first book covering history through the prism of India’s rare coins. My first book was on the subject of credit scores. This was the first book written on this subject in India, and continues to be the only book so far. While I am not sure, but I may want to work on a different genre as well in future.